There is a universal question every human being longs to answer: What happens when we die? With the keen and thorough eye of an investigative reporter, Bob Olson takes on this question with a loving heart and full-on determination. Sifting through more than fifteen years of intense and exhaustive research, he’s created a spiritual encyclopedia of sorts that provides the reader with answers. This is a brave and compassionate book that will bring comfort and insight to many during the most important times of our lives. What happens when we die? And why is this question so prone to debate? 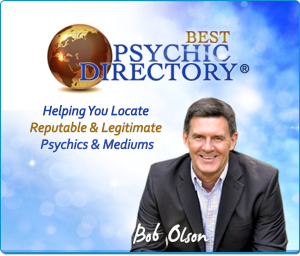 Considering the nature of this subject, and how varied beliefs are about it, it’s hard to imagine anyone addressing it more sincerely – and, inclusively – than Bob Olson does in this book. In a warm, considerate, and remarkably cogent manner, Bob shares his findings, based on over fifteen years of research using techniques gleaned in his work as a private investigator. If you can read this book with an open mind, it will go a long way to quell any fears you have about death, or any doubts you have about the existence of an afterlife. Whether you’re grieving a loss, seeking answers to bigger questions, or supporting a loved one in their final stages of life, this book, unlike any other, will provide hope and peace of mind. 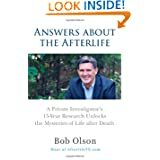 The subtitle for Bob Olson’s new book should be “Afterlife 101.” His explanations are logical and informative, and he offers a genuine knowledge and understanding of the spirit world. 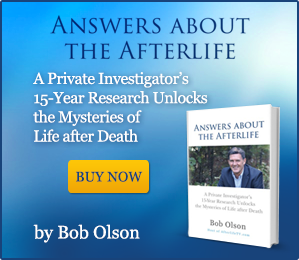 “Answers About the Afterlife”, is just that, a book that will assure readers, not only of the safety and well being of their loved ones who have passed, but also of the great news and comfort about their own afterlife survival. Now you know that your viewers will likely ask, Can we get an autographed copy?, so I was wondering, is this possible and if so, how would we go about it? Are you doing a book signing tour soon for the book? Again, so happy for you and for us all that you’ve shared this work of knowledge with us all. Thank you! I really appreciate your enthusiasm. Now that’s a question I don’t have an answer to–at least not a good one. I’ve been working so hard on the book that I haven’t got that far as of yet. But if you sign up for my Afterlife TV newsletter below, I’ll be sure to announce any public events I attend. Great question. I guess you stumped me with that one. Thank you for that. Wow, I just read your review. Thank you so very much. I had no idea that a bereavement site was recommending Afterlife TV. How wonderful. Your story makes one catch their breath. I can’t even imagine. I’m glad my shows and book have been of some assistance to you, and I hope your further investigations will help even more. I really appreciate the time you’ve take to tell me and others how my work has helped you. 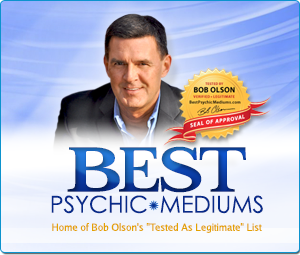 Hi Bob, Congrats on your new book! 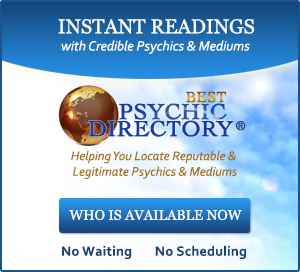 I wanted to ask if you have anything on automatic writing in your book. I deseparately want to communicate with my guides and my sister and I tried it one time but didn’t work. I’ve looked through all your videos and you don’t have anything on this subject either… unless I missed something. If you don’t have anything in your book or videos here, could this subject be a focus in one of your future videos? If you have this info already somewhere else on your other sites, you can refer me there too. Thanks so much and congrats again on your book! I do talk about it, but I don’t recall if I get into much depth. Do a search for an old article I wrote titled Spirit Writing For The Ungifted, which I wrote about ten years ago. I think that will help. 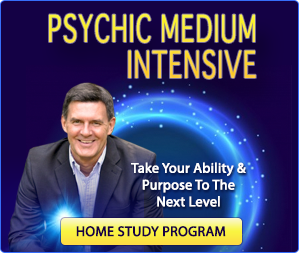 Plus, we discuss it in my next interview coming up with James Van Praagh. I need this book. I was wondering if it will be out on Nook ebooks also. I’m not sure what Barnes & Noble is doing. They are a little behind the ball in comparison to Amazon. Sorry. As of right now, the paperback on Amazon is highly discounted, so that might be your best option right now. I wish I had better news, but thanks for your interest in the book. Congratulations on your book! Read the first chapter today at the oceanside and really enjoyed it and look forward to reading more…as soon as my friend returns it to me…I shared certain passages with her and she was so interested she asked to see it, putting down her own book, so I let her have it for the rest of the day to peruse and, as a result, she has decided to order her own. I look forward to finishing it, with my yellow highlight pen in hand! I didn’t see this until after I responded to your other comment. Thank you again. I love this story! That’s a great message to get. James Van Praagh will be on again??? YES!!! Thank you!! also, yes I did read your article you mentioned, I found it after I commented. That was very helpful especially the part about just start writing or typing…. When I tried it before, I would just sit there with my hands on my keyboard and nothing happened. One question, when it does work, are your hands moving by themselves (I know, dumb question since it’s called automatic writing)? Or do you get your messages by 3rd eye vision, sound or thought then you type what you received by those sensories? From all that I’ve read so far, I wasn’t sure if I’m supposed to get messages come in via some other means then I write them down or if spirit really take over your hands and starts typing and you have no idea what’s going to be written. If you can clarify that would be great! Also, do you personal still use this method and was it weird feeling to have your hands type without your control? I still have yet to make this work for me, hope you can answer me! Can’t wait to get your book! I read your article again and answered my own questions. But maybe you can let me know if this is something you still do. Glad you found your answer. Yes, I still do it. I don’t do it as much as I probably should–much like meditation or exercise–but it’s always rewarding when I do. congrats on your new book. I got it yesterday and can’t wait to read it. This book should be one of a kind. After losing my daughter,every time i have felt down, overwhelmed or disconnected, afterlifeTV.com has always been my healing place where i have found comfort and felt the connection again.Where i have watched your interviews over and over again and each time i have learned something new that hadn’t caught my attention, the last time i had watched. Now its an absolutely great feeling and a pleasure to have “Bob Olson’s book” and to carry it with me everywhere all the time !. I know this book will help many people. Thank you so much for your hard work. Will you have a book signing anywhere? So nice to hear from you again. Thank you for the congrats and the very nice words about the book and AfterlifeTV.com. You’re very kind to take the time to write. (Sorry for the delay. I was unable to check these posts for a couple days.) Much love to you. Bob, I just finished reading your book for the second time and I must say it is fantastic! When I was young my father would tell me that if I decided to ever leave the Mormon religion, or if I never repented of my sins, I would never be able to see my parents again in the afterlife. You can imagine how horrible and scary that is to a young kid, but that is what I was told growing up. I left the church in 1981. I just couldn’t believe that our God would only allow devout Mormons to enter in to his presence. I just want you to know that book brings me even more hope and reassurance that I will see and be met by my loved ones in the afterlife with pure unconditional love. My goodness, that’s a scary experience for anyone, especially a child. I’m glad you figured it out on your own and now my book has helped confirm what you already knew. You’re very kind to take the time to share this with me. Thank you so very much. 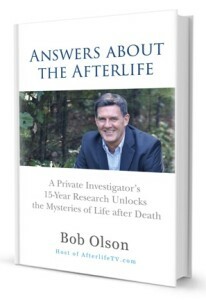 Bob, I’ve not completely finished reading your book but already my heart and being have been uplifted and made all the more joyous for reading your first book ‘Answers about the Afterlife: A Private Investigator’s 15-Year Research Unlocks the Mysteries of Life after Death’. It was like finding a long lost and much loved photo album, re-connecting with all the amazing and spectacular memories and events that have enriched one’s life and perspective again with renewed wonder. Akin to a travel guide to the Great Beyond, your words reach beyond the printed page to touch the psyche of the person reading it. While reading your book, I’m moved to constant tears of joy in remembrance of how wondrously awe-inspiring life and spirit are. How loved we really are and how many there are in spirit supporting, uplifting and encouraging each one of us, unseen and unfelt. Your book is a wonderful, easy to understand ‘Remembering’ tool for how perfect everything is, even in its perceived in-perfectness; something we can easily forget in our daily issues and problems. Thank you for reminding us! Reading what you had written about the many, various spirits that meet us on our arrival back Home reminded me of the ‘6 degrees of separation’ concept, of how little separation there actually is between each of us and our basic interconnectedness. What happens to one affects us all, for good or ill, through our myriad connections made in this and our many other previous lifetimes and experiences. And that’s a wonderful thing; to know, feel and remember such connectedness on such a deep, integral level with one another as it can be so easily forgotten or dismissed. Although I’m not ready to rock out of here anytime soon, I look forward to being with my many loved ones that await me back Home when that time comes for one helluva party! Wow, that’s fantastic. Thank you so very much for this beautifully written review. Did you write an Amazon review too (there’s one from Michelle)? If so, thanks for that too. I’m humbly grateful. I’m sorry to learn about your sister’s loss. What a kind gesture for you to give her a copy. I’m hearing more and more that people are reading my book and then buying copies for people they know. I can’t think of a nicer compliment, and what a wonderful way for friends and families to open a discussion about death and dying. Few people do it, mostly because few of us are prepared in life to know how to discuss it. But giving someone a copy of this book is certainly one way to open that discussion and, of course, help a loved one during their difficult time of grief. Thanks for letting me know. More interviews coming–beginning in June. I’m excited. I came upon your site while looking for a medium… My New Townhouse came with a very active spirit…and Im bringing in a medium to help Me communicate and insure we both understand each other and appreciate the others space and right to exist here in the same space…so hopefully i will find a best medium to aid Me and I’m looking forward to reading Your books and maybe having an answer to those questions …thank you For your Time..
You’re certainly not alone. And I do discuss this topic thoroughly in my book, Answers About The Afterlife. But in brief my investigation leads me to believe that we have a choice over who we want to see in spirit or not. So if you prefer not to see someone who wronged you in this life, that’s up to you. It’s quite likely you’ll have a different feeling about it once you’re in spirit, but it’s still your choice. Good luck with your townhouse and your new “roommate.” I’m sure you’ll come to a lovely relationship. Finished your book. It had helped me so much over losing our son. Thanks for letting me know. So very sorry about your son’s passing. But I’m glad the book was of benefit to you. A friend turned me on to your podcast and then I found you on You Tube. Same show as on my iPad but I got video too. I get so excited when I get an email from you with links to a new show. I find you are so down to Earth and have excellent guest on your show. Now that doctors have had these OTB’s and ADE’s it finally is being taken seriously. I never miss a show, I went back and watch and listened to all that has been archived. It is amazing the people that paise you and your book. Do you know when or if your book will be in audio format? I get your email, how can I or can I get the first free part of your book. I had a car accident and it damaged the part of my brain that can re-call what I read in book form. I can read a page about 5 times but I understand it differently then someone else does. My cognitive part is damaged . If I got a sample book I would read and re-read the book until it made sense to me. But, I always read audio books every night. I no longer fear death. Could I receive the free sample of the book and hopefully it will be on audio soon. I would love to meet you. Are you doing a book tour. We have a Barnes and Noble here in town in NW Arkansas. We live in Rogers and close to the University of Arkansas, where I went and If you do a reading the book would sell out. But, I would love to meet you. Do you send out autographed pictures of the book. I would really love to have the autograph of the man that changed my life. You have my email , just respond and I will check my email. Thanks Bob for all that you do and the shows that you bring to us, There is so much I want to share with you but this is beginning to look like a book its self. Maybe I can talk in some length if you write back. Until then, take care. I can’t thank you enough for your enthusiasm. On BobOlson.com you can get the written Introduction for free by signing up for the newsletter, but there isn’t an audio version of the book yet. If you are signed up for the newsletter, you’ll be the first to know if one comes out. The best I can do now is suggest that you have someone read the book to you. That can by fun to share a book that way with someone. My wife and I do that occasionally. No book signings are scheduled. You write like I’m a celebrity but I’m just a regular guy. I just happened to investigate the afterlife, but anyone can do it. Very happy that my interviews have been helpful to you, and appreciate you writing to let me know. My best wishes to you. I haven’t read your book yet but I have watched and listened to each and every interview you have done on AFTERLIFE T.V. However, I have read the surgeon’s book, PROOF OF HEAVEN which I found most enlightening and I have also read another book, HEAVEN IS FOR REAL. This book was apparently written in 2010 about a four year old boy who is the son of a pastor. Any possibility of doing an interview with these people? Is your book available in bookstores. I have not seen it as yet. In any case, Congratulations!! So I assume you know I interviewed Dr. Eben Alexander, author of Proof of Heaven. You can find that interview on AfterlifeTV.com. As for Todd Burpo, author of Heaven Is For Real, I’ve tried contacting him but got no response unfortunately. Thanks for your congrats and comment. Thank you for all your work and research in your fascinating book. After reading it all, I chose several topics to revisit for better understanding. You have a warm, inviting tone in your interviews and book so everyone can experience what they want and need. I am impressed with the depth of your questions and thoughtful responses to dealing with a delicate subject. Do you believe that people who have had more past lives have a higher level of forgiveness than those who have not experienced many past lives? It seems like the more times a person has experienced the life review, the more understanding they would in the next life. Is this part of our soul’s growth? Thank you again for sharing your uplifting work. I really appreciate that kind feedback, thank you. And what a deeply insightful question you’ve asked. What you’ve proposed is very logical, and it might be true. However there are other ways to gain a higher level of forgiveness as well. As spiritual beings, we learn forgiveness in many ways. We are taught about forgiveness sort of like we learn here in schools. We can experience what other souls have learned by “sharing” their human and life-review experiences (almost like popping into their aura and experiencing what they experienced). And we learn about forgiveness when playing the role of spirit guide for someone else. And these are just a few examples of what is possible. So I do believe that what you’ve proposed has truth to it, although I’d prefer to use the term “other lives” rather than “past lives” (it makes more sense from a spiritual perspective)–but I know you knew that already. But I think there are alternative ways to gain the same insight with equal depth, so I wouldn’t limit understanding forgiveness or having a higher level of forgiveness to the number of other lives exclusively. I believe there are many paths to the same result, some that our human brains are unable to fathom. I hope that’s helpful. And thank you for watching Afterlife TV and reading my book. I’m glad you like both.